Did you have a chance to see our most recent ad in the last Town Money Saver? 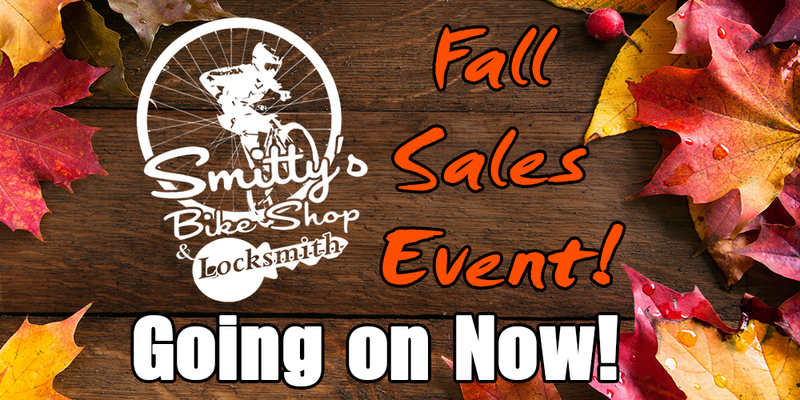 If so you already know that our Fall Sales Event is going on now! 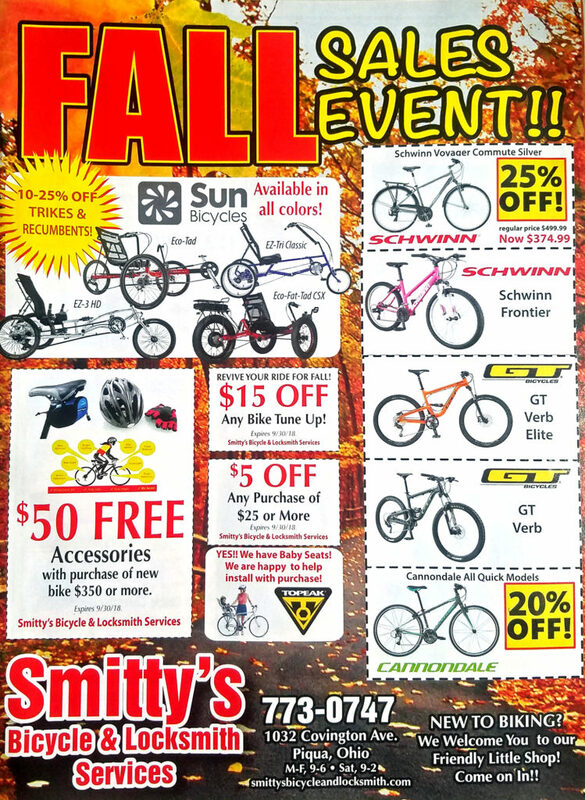 10-25% off Trikes and Recumbents! $50 worth of FREE accessories with purchase of a new bike worth $350 or more! $15 off on any bike tuneup! 20% off on all Quick models from Cannondale! These are some great savings you won’t want to miss!! !